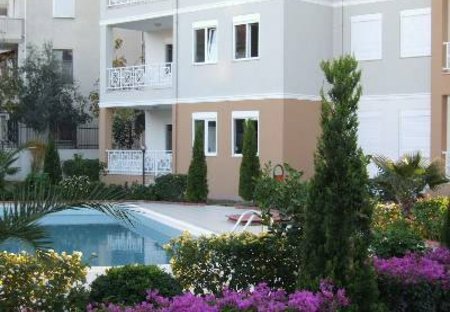 Rent villas and apartments in Manavgat, Turkey with swimming pools. Book affordable holiday rentals that are near a beach. Luxury 3 bedroom, 2 bathroom fully equipped duplex apartment on the small, high quality Lymra Residence development in the family resort of Side. Close to shops, restaurants, bars and a great beach. New,luxury 2 bed apartment,very close to beach,restaurants,bars and all other amenities,and only 50 minutes from the airport. LUXURIOUS GROUND FLOOR APARTMENT The apartment faces directly onto the large pool with access from the balcony to the pool area, ideal for relaxing. Heated indoor pool in the winter. Visually stunning apartments in Side, close to town and beach. Excellent facilities include 25m pool, sauna, gym, bar, free wireless internet and 24 hour security. This is a beautiful 1st floor apartment located in an excellent area of Side. Communal pool. Five minutes from the restaurants,local supermarkets and five mins to the local beach with free beach bus. 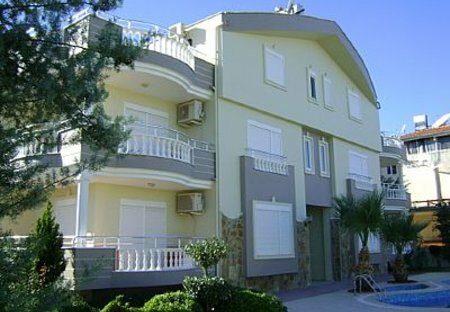 This is a beautiful ground floor apartment located in an excellent area of Side. Disabled friendly,easy access. Communal pool. Five mins from the restaurants,local supermarkets with free beach bus. Fantastic 2 bedroom first floor apartment with all mod cons.